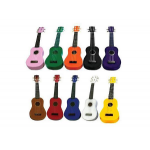 At Gympie musicland we stock a range of Ukuleles to suit any budget. From cheap and cheerful, colourful and fun to instruments for the serious player. Also sizes to suit from soprano, to concert, Tenor, and Baritone. Ukuleles are easy to play and great fun. 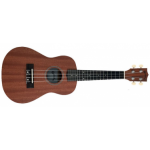 Also easy to fit in a backpack or bag so before your next beach picnic or camping weekend be sure to pop in and get your new Ukulele. The little instrument that puts a big smile on your face. Kealoha Tenor Ukulele in Natural Matt Finish BU26.